Please use the form below to drop us an line with your questions, comments or for what ever reason floats your boat or tickles your fancy. Let me know what's on your mind my friend. Donate to 70’s Classics Today! Do you enjoy listening to 70’s Classics? We sincerely hope you do and you will continue to listen and spread the word to others to keep this music alive for future generations to enjoy. With the changes to internet radio royalties, the dedicated stream server and additional costs for time involved in putting this all together, this is no longer just a hobby and most broadcasters have given up and closed down there streams. You can follow us on Facebook by clicking on the button below. We update this feed frequently and bring you some exciting news, stories, events or anything of interest to our subscribers. You can follow us on Twitter by clicking on the button below. We update this feed frequently and bring you some exciting news, stories, events or anything of interest to our subscribers. Ever wonder what song was number one in a particular week during the 70's? The Week in Music shows you what songs were number one on the billboard Album Chart, Pop Chart and R&B Chart, offered to you in the current month. You can play trivia with your friends or stump them because you knew it first because your a regular here at The 70's Preservation Society. On the main page, you'll see the different years that covered the 70’s. Choose a year and you'll know what was number one in the current month for this week in the 70's. Would you like to become a sponsor and have your personal or business site listed here? We offer very reasonable rates for random banner ads and whole page advertisements. Please use our contact form to enquire on pricing or on specific pricing to meet your needs. Use the button below to download our current advertiser PDF price sheet in ZIP format. From all of us at The 70's Preservation Society, we hope you enjoy your visit to our website and share us with your friends. We would love to hear from you! 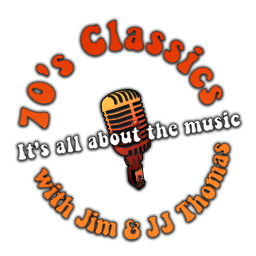 "70's Saturday Night” audio, clips, tidbits, likeness and images are copyright Jim Thomas Productions. All brands, products, trademarks, and service names mentioned in this website are and remain the total and sole property of their respective owners and/or company's.